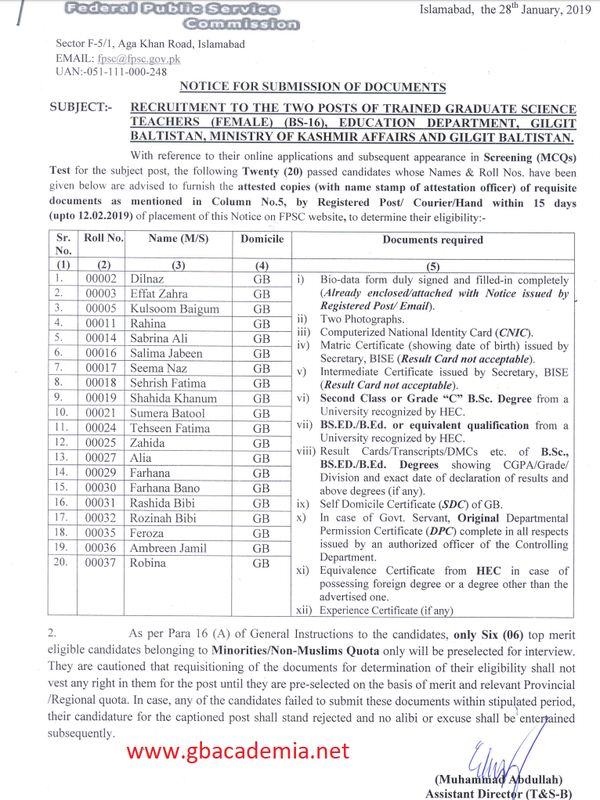 FPSC Announced Written test result of 02 post Trained Graduates Science teacher (TGST) BS-16 Education Department Gilgit-Baltistan and noticed to submission of documents of qualified candidates. there are 20 candidates who qualified the test and shortlisted for interview. Congratulations & Best of luck for all qualified candidate.